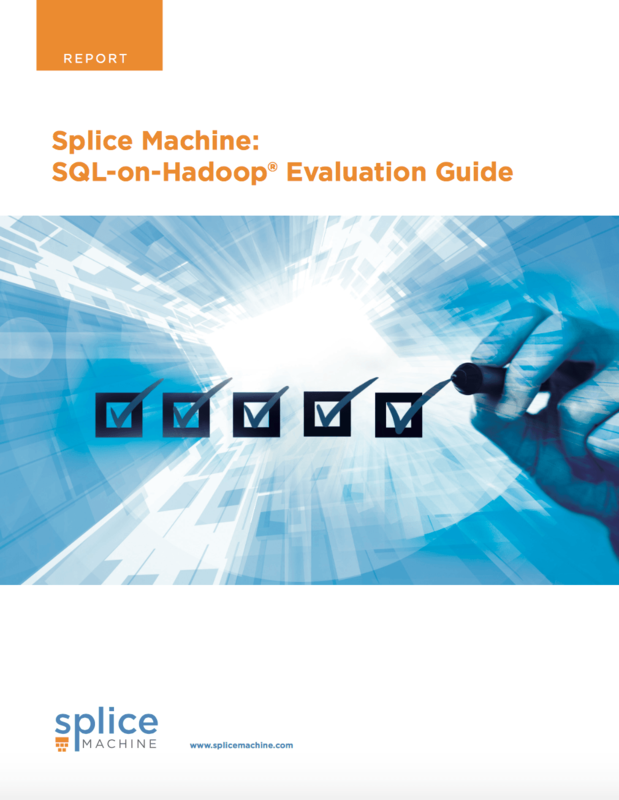 Splice Machine provides CRUD operations with fully ACID-compliant transactions, which scale both to high-frequency operational queries and to very large-scale analytic workloads. 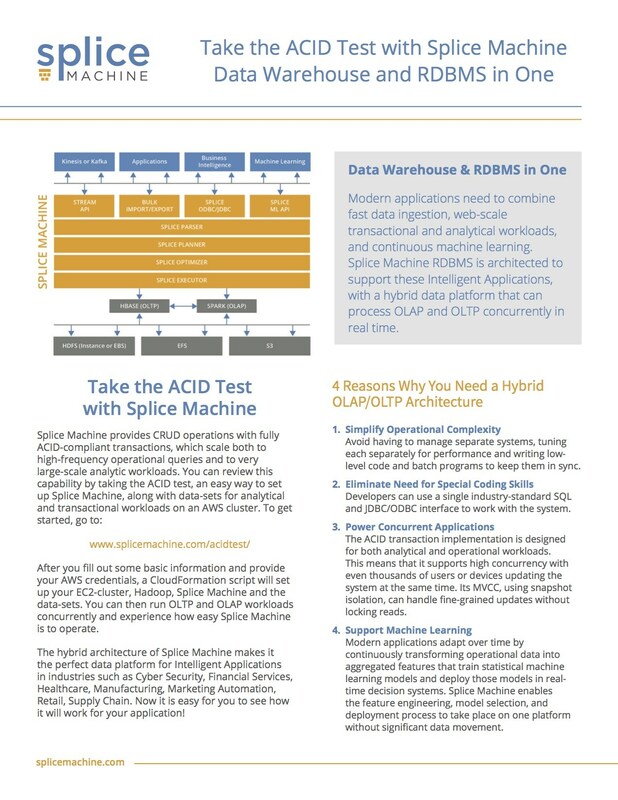 You can review this capability by taking the ACID test, an easy way to set up Splice Machine, along with data-sets for analytical and transactional workloads on an AWS cluster. 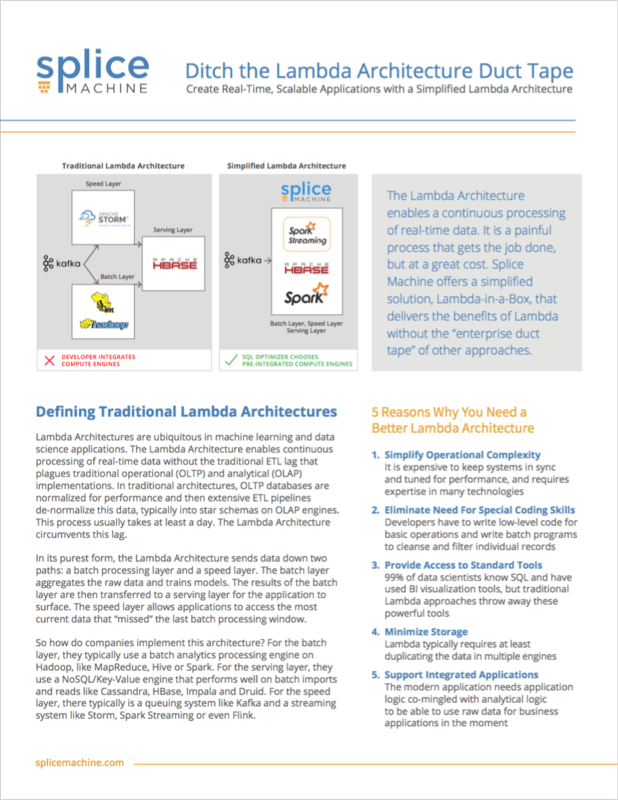 An overview of how Splice Machine simplifies Lambda Architecture structures. 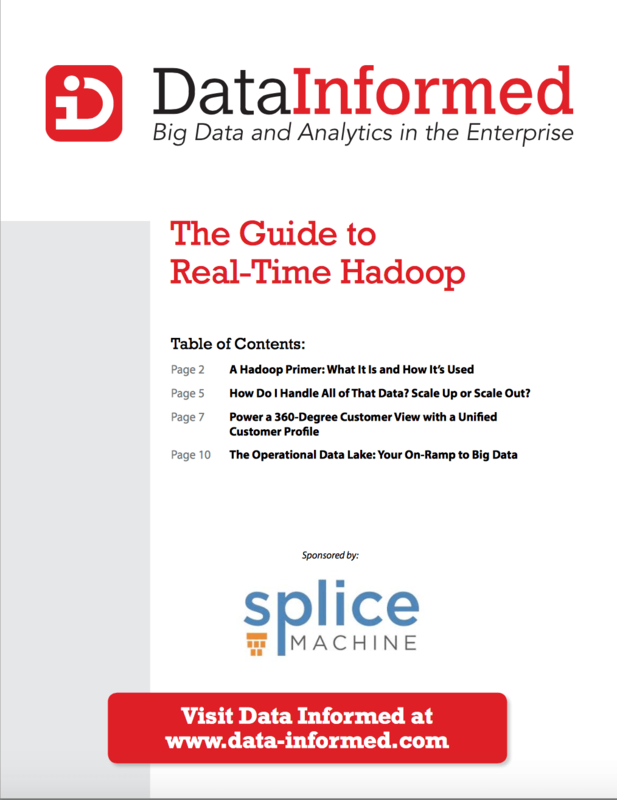 This eBook by Data Informed can help get you up to speed on Hadoop: what it is, what it does, and how to use it to glean real-time insights from your data. 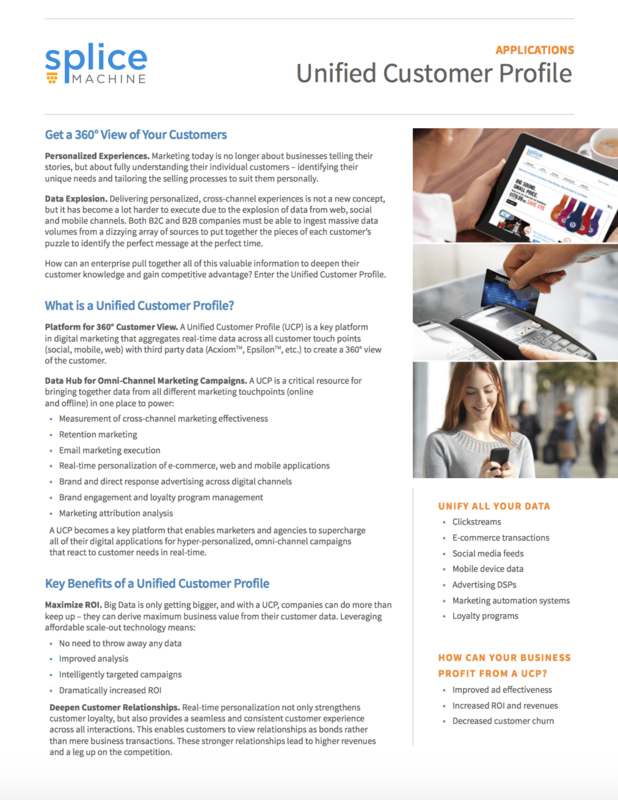 A Unified Customer Profile (UCP) is a key platform in digital marketing that aggregates real-time data across all customer touch points to create a 360° view of the customer. 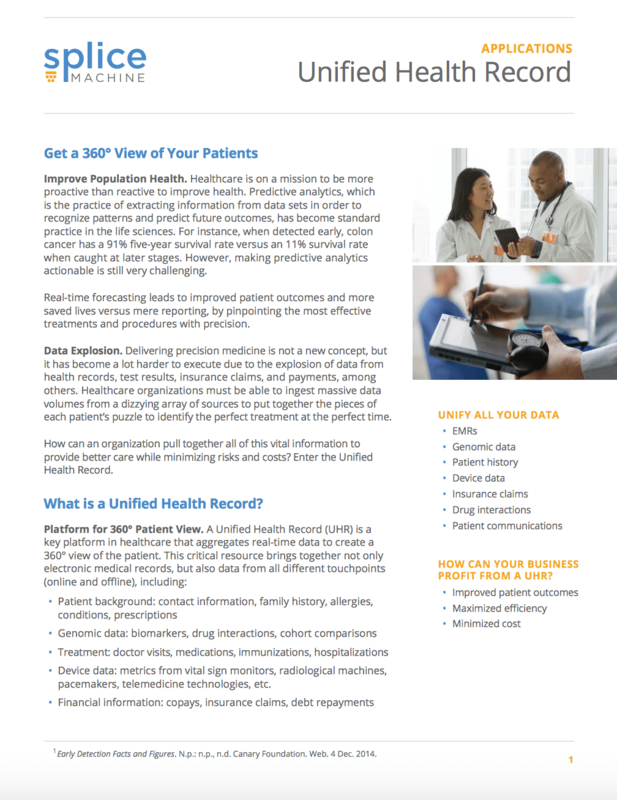 A Unified Health Record (UHR) is a key platform in healthcare that aggregates real-time data to create a 360° view of the patient including EMRs, and online and offline touchpoints. 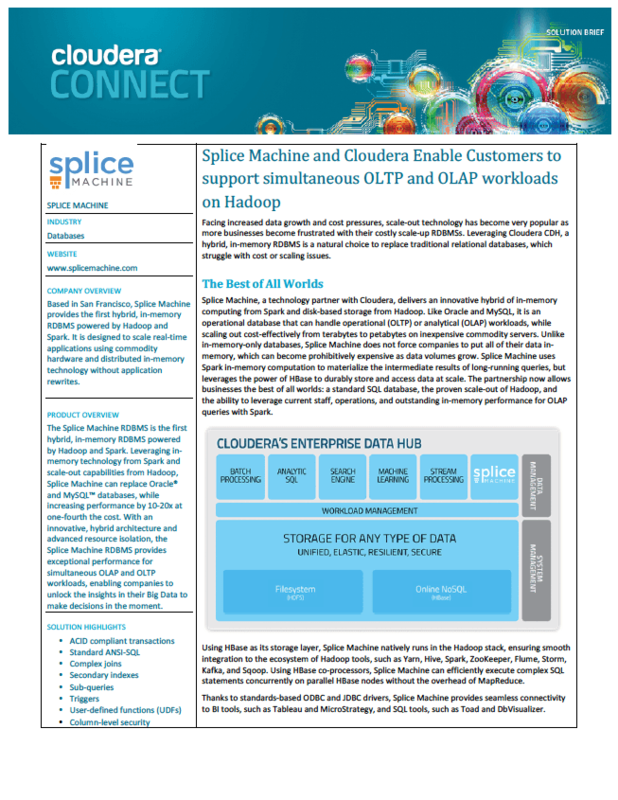 Splice Machine and Cloudera enable customers to offload operational databases to Hadoop. 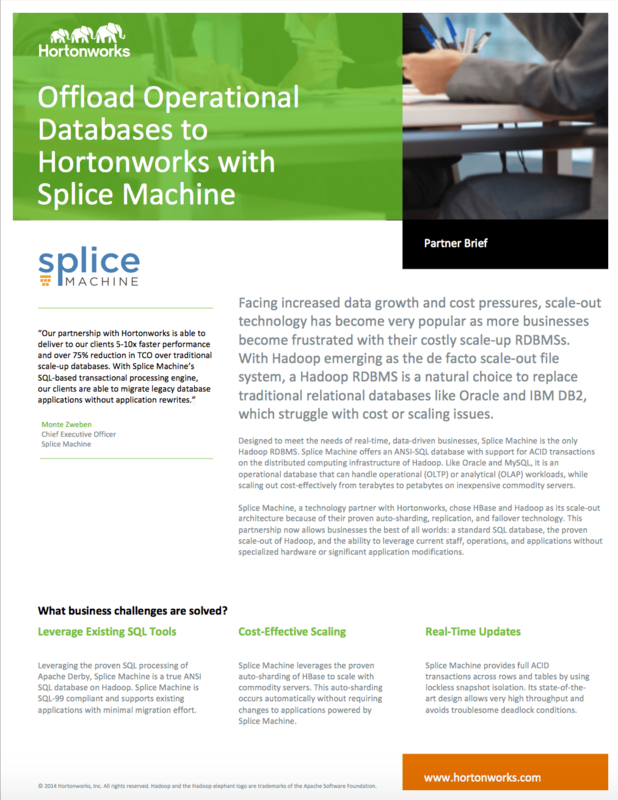 Offload operational databases to Hortonworks with Splice Machine. 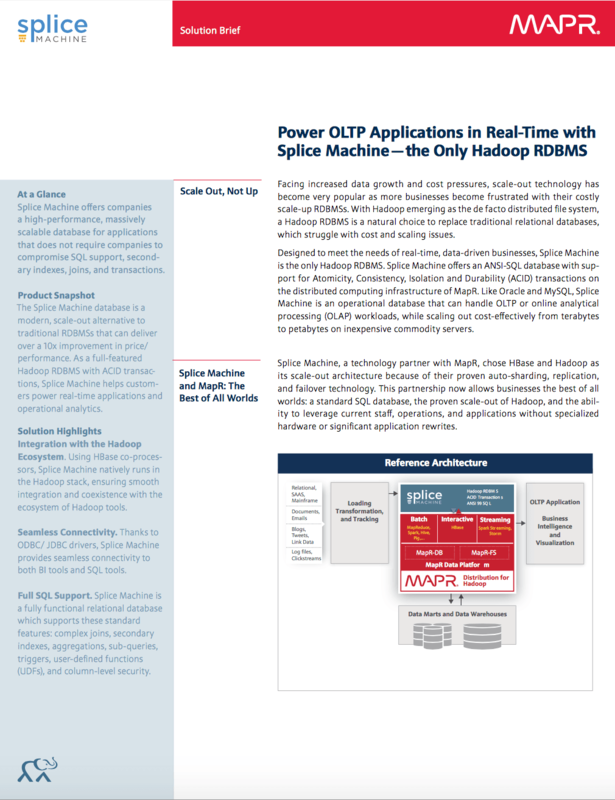 Power OLTP applications in real-time with Splice Machine - the Hadoop RDBMS. 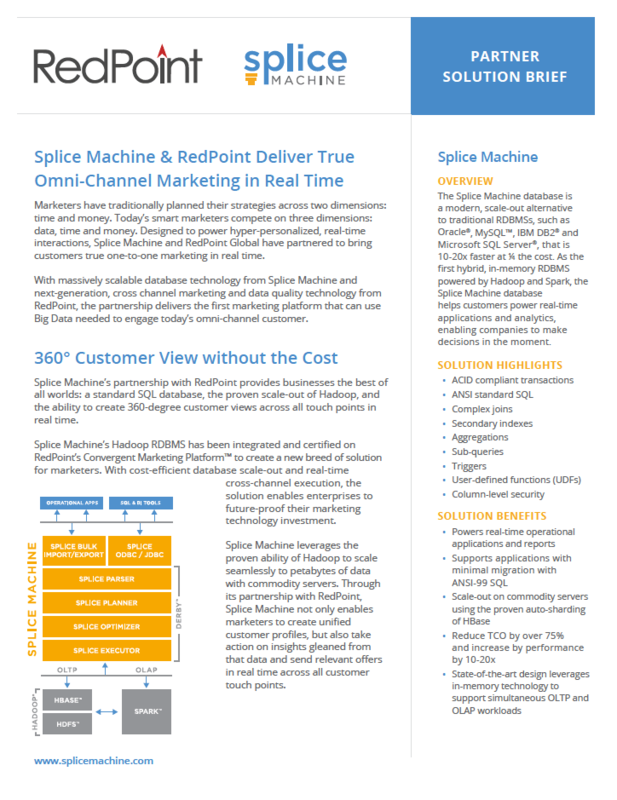 Splice Machine & RedPoint deliver true omni-channel marketing in real time. 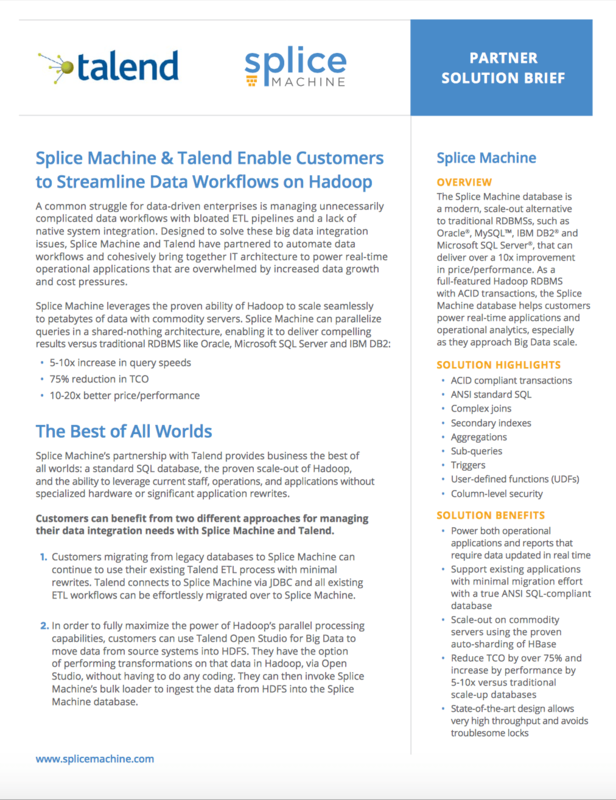 Splice Machine & Talend enable customers to streamline data workflows on Hadoop.